Judith Woodruff was born on 20 November 1946, in Tulsa, Oklahoma USA, and is a writer, journalist, and news anchor, best known from working for several television organizations, including PBS, CNN, and NBC news. She is also a member of the Council on Foreign Relations; all of her efforts have helped put her net worth to where it is today. How rich is Judy Woodruff? As of early-2017, sources inform us of a net worth that is at $3 million, mostly earned through a successful career on television, having appeared on numerous television shows She is a board member of the International Women’s Media Foundation too, and all of her achievements have ensured the position of her wealth. At the age of 17, Judy won the beauty pageant for Young Miss Augusta. She attended the Academy of Richmond County, and after matriculating went to Meredith College, then transferred to Duke University, eventually graduating with a degree in Political Science. Woodruff started out in 1970 as a news anchor in WAGA-TV, which was a CBS affiliate. Five years later, she joined NBC news, and would cover the 1976 US Presidential Campaign of Jimmy Carter. The following year, she became the Chief White House Correspondent for NBC news, and was part of “The Today Show” covering Washington. In 1983, she moved to PBS and became the Washington correspondent of “The MacNeil/Lehrer News Hour” for the next decade. She was also the host of the documentary series “Frontline with Judy Woodruff” which aired from 1984 to 1990. In 1993, she was hired by CNN as the host of “Inside Politics”, staying there for 12 years until in 2005, when she decided not to renew her contract, opting to pursue documentary work, writing, and teaching instead. During this year, she was named visiting fellow at the Joan Shorenstein Center on Press, Politics and Public Policy, part of Harvard University. In 2006, she returned to PBS to work on the documentary “Generation Next” and would become a guest correspondent of the “Morning Edition” series “Muslims in America”. The following year, Judy appeared in “The News Hour with Jim Lehrer” as a senior correspondent, substitute anchor, and editor of political coverage. She also worked on the second installment of “Generation Next”, and had a weekly program on Bloomberg Television entitled “Conversations with Judy Woodruff”. She was also selected to present the 2007 Red Smith Lecture in journalism, which annually selects renowned journalists. In 2013, she was slotted in as the co-anchor of “PBS News Hour” alongside Gwen Ifill. 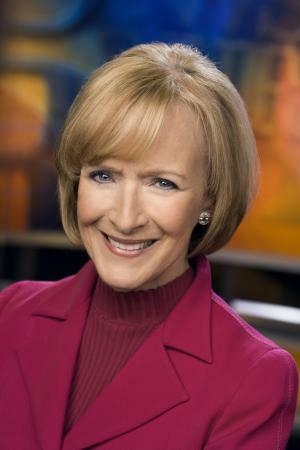 Judy has also released several books over the course of her career, including “This is Judy Woodruff at the White House” and “The Theodore H. White lecture with Judy Woodruff”. For her personal life, it is known that Woodruff is married to Al Hunt who previously worked with CNN and the Wall Street Journal, and now works for Bloomberg News – they have three children. She’s part of several organizations including being the co-chairperson of the International Women’s Media Foundation. She is also a part of the board of trustees of the Freedom Forum, and is a member of the Reporters’ Committee for Freedom of the Press – steering committee. 3 First job in newscasting was with WAGA in Atlanta, GA in the early 1970s.